If you're experiencing problems with your springs, rollers, cables, and opener or if you suspect that there's a more complex underlying issue involved, we can help you resolve the situation. Our team can provide you with an express and professional service, including repair and replacement as necessary. If the symptoms are caused by wear and tear, or if components are found to be completely damaged, we’ve got you covered! Even if you are fond of DIY solutions, there are numerous complex issues which can be difficult to identify and practically impossible to fix without the proper tools and training. Our experienced technicians can easily determine the best course of action for your specific case, as we specialize in a great variety of door brands. In case you are facing an emergency situation, we are also prepared to react swiftly, to help you get rid of any inconveniences to your schedule. Since these doors are in constant daily use, the most common cause of issues is worn out parts. By relying on our professional service, we can quickly replace any worn out components, or in case there is a more complex issue, affecting more than one part, we will provide you with the best, cost-and-time-effective solution. You can also contact us in case you are in need of an expert solution quickly, for a door that got off track, for a frayed cable, or in case you simply want to make sure that your door is functioning properly. 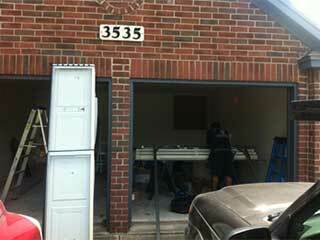 We are the top garage door repair service that you are looking for! We are prepared for all types of issues with all popular brands where jams, broken springs, opener issues, roller and cable faults are easily solvable situations for our experienced technicians. Whether you are after a quick solution for a simple symptom, or in case you need to replace multiple parts, you can rely on our company’s professional garage door repair service. Our experts at Garage Door Repair San Diego are only a phone call away! Our team members are ready to help you deal with any issues with your door. For all your repair and replacement needs, we're here.